On Monday July 27th, a little before 6 p.m, we reached our funding goal on Kickstarter and then went on to reach 140% in funding. Being funded and knowing we have your support and interest, is a wonderful feeling. What an adventure and a roller coaster of emotions this Kickstarter month has been! Launching a crowdfunding campaign for Ninchanese was both a nerve-racking and thrilling experience, and we’re happy to have done it with you. A funded Kickstarter means a lot of things for Ninchanese: this funding is directly going towards improving and growing Ninchanese. 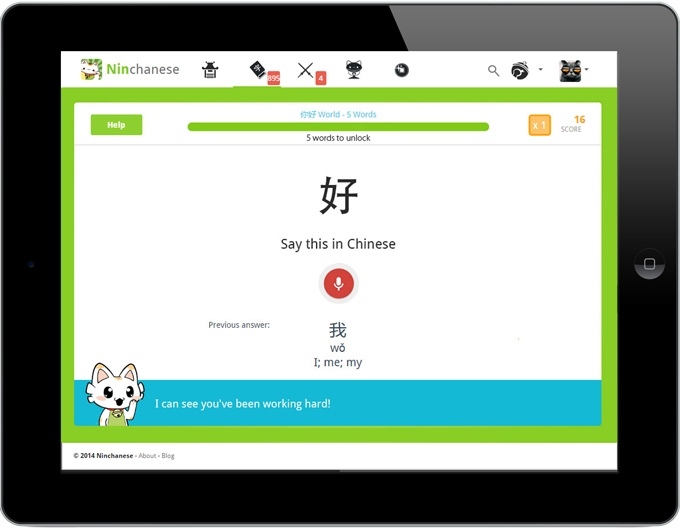 We want you to have access to a truly fantastic gamified Chinese learning application! Speaking of which, now that this Kickstarter is funded, here’s our road map for the next few months in terms of features. Kickstarter was an incredible validation for us. We’re now ready to jump the gun and move towards the full Ninchanese beta! In terms of the beta, our roadmap for the next few months is clear: go from the current beta to the full Ninchanese beta! 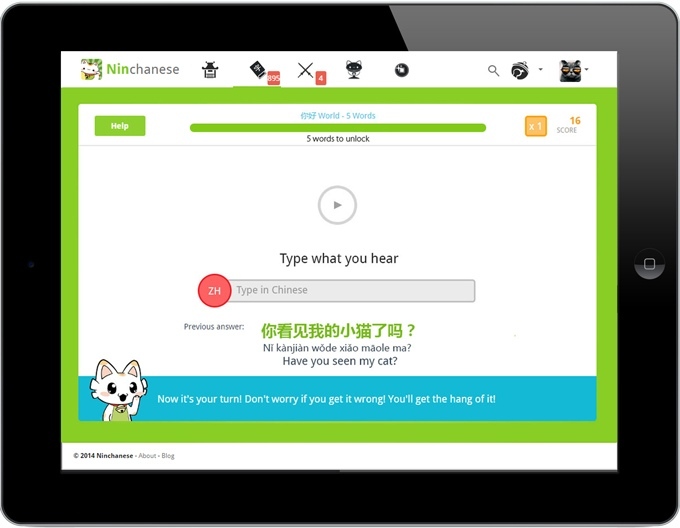 In the next few months, we’ll be adding content to the Ninchanese beta so beginner, intermediate and advanced learners alike will find content that suits their Mandarin level on Ninchanese. We’ll be progressively opening access to the 5 other worlds, first to our Kickstarter backers, then to every other Chinese learner who’s interested. This will give you access to content in Chinese ranging from beginners to advanced learners. Listening and learning to understand native Chinese speakers is a big part of being able to speak Chinese. The listening stages will allow you to practice your comprehension skills in Chinese. You will practice listening to words in Chinese until Chinese sounds and tones sound perfectly normal to you. These stages will also teach you how to write what you hear in Chinese, which help you match writing and sounds. The individual word pronunciation stages will fine-tune your Chinese pronunciation so you know how to say each word in Chinese, with the right tones. Pinyin will have no secrets for you. Then you’ll be able to comfortably move on to sentences and dialogues. Ninchanese will be offering a chat system, so learners can chat with other learners, especially when they are playing Ninchallenges. 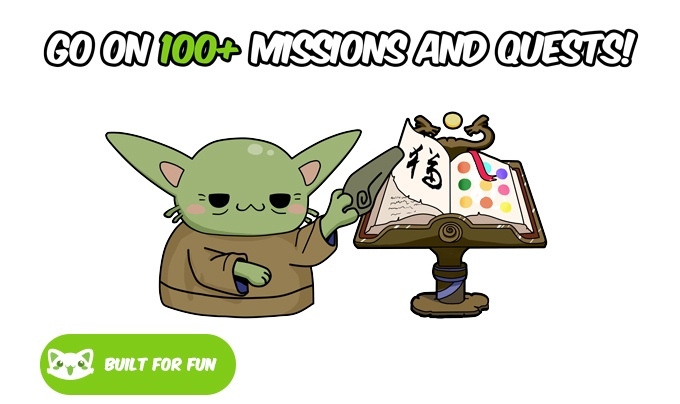 Quests and missions Go on quests and missions across Ninchana for Old Master Yocha and learn new things in Chinese along the way! Every good story has bosses to overcome, and Ninchanese will be no different! How do you know if you’re allowed to progress to the next world in Ninchana? By defeating that world’s boss of course! The bosses will also allow you to test your Chinese level and let you skip ahead to your current level. See if you can defeat them and move on. Easy. Roadmap #3: Traditional Chinese Support! We also reached a stretch goal in the campaign: traditional Chinese support! Adding support for Traditional Characters to Ninchanese was our first stretch goal in the campaign and we reached it! We’ll therefore be adding Traditional Chinese character support to Ninchanese, so you’ll able to choose whether you want to learn Chinese in simplified Chinese (used in Mainland China) or in traditional Chinese (used in Hong Kong, Taiwan and Macau)! Cool! Last but not least, as our Kickstarter backers were outstanding, they unlocked a few additional features. These are the extras the Kickstarter community has unlocked! Ninchanese is a world full of cats, so we can’t have you using a mouse, amiright? We’ll be adding keyboard shortcuts in Ninchanese, freeing you from the reign of terror of the mouse. That way you’ll be able to smoothly use your paws to navigate in the web application with your keyboard and focus solely on having fun learning Chinese. Kinda like him (her?). This fun mini-game will be dedicated to learning to tell terribly similar-looking characters apart. The character comparison mini-game will help you learn to distinguish which character is which. Content will be taken from the words and characters YOU get confused on Ninchanese so each mini-game will be unique and tailored to you. How does that sound? Meowsome? Good! You know those moments where you want to go **Help me please!**? That’s what bonuses are for. They’ll help you in game if you’re stuck or to give you an extra edge! The More Bonuses, the better you’ll play! We want your ideas, too! These are the “big” features we have planned to add to our gamified Chinese learning app. We know there are still a number of improvements we need to bring to the Ninchanese beta as well, so rest assured we’ll be improving the current beta and adding new features at the same time! Share your thoughts on elements that can be improved in the beta and/or ideas of features and things to add! We want to build Ninchanese with you! 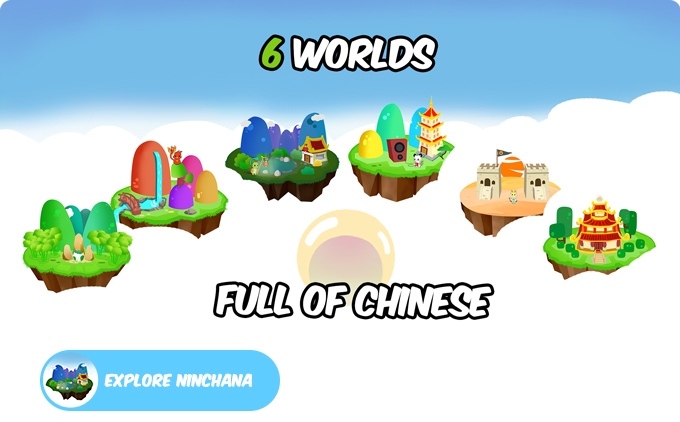 Ninchanese combines addictive game mechanics, cute cats and efficient Chinese learning techniques to make learning Chinese a lot of fun! The app is now in beta so sign up now for early access! Check out our trailer and stay in touch with us on Facebook, Twitter, Google + and Pinterest. The Automatic Sound, Stars and Awesome Popup Beta Update Beta update: better voice recognition in Chinese The Ninchallenge Tournament is now open! We have a winner!